Chrome OS is all the rage in education these days. It's ideal for classroom use, with sandboxed security, low-cost and durable hardware options, and plenty of management tools. 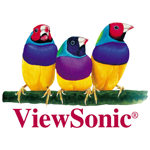 Viewsonic is no stranger to the education market, either, with its wireless ViewBoard classroom displays. 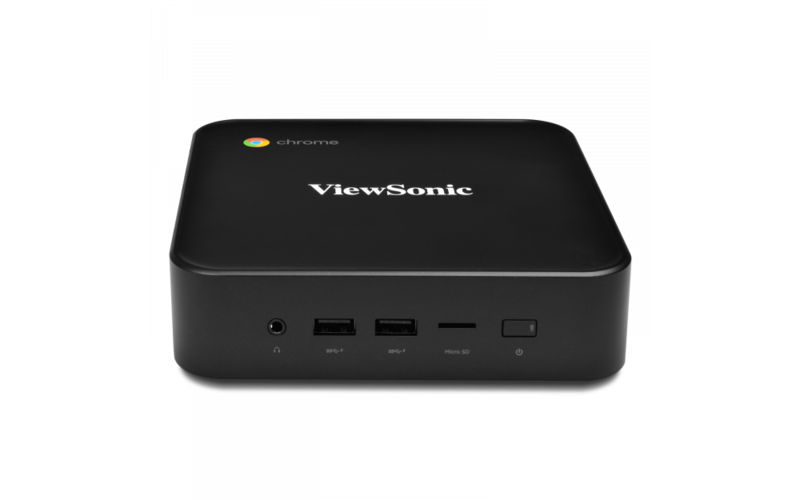 And now it's pushing out a Chromebox to accompany that display, the new $349 NMP660 which will be available in April. 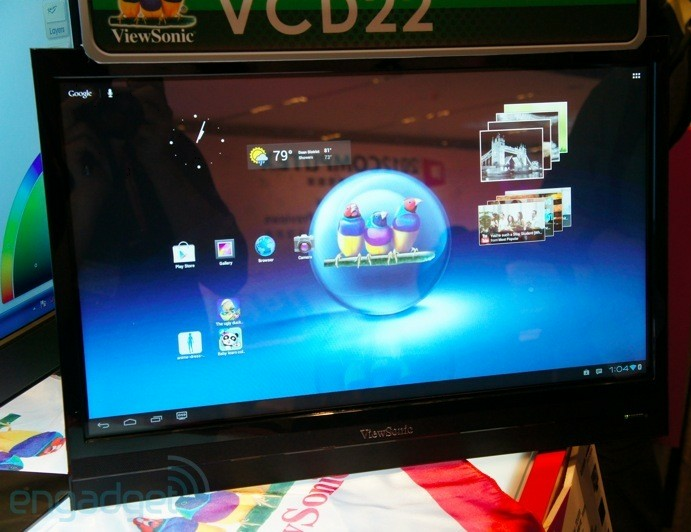 We heard just recently that ViewSonic was launching a 22" tablet/display running Android. Today, we get a look at this display. We've also learned that it's running a dual-core TI-OMAP processor, 1GB of RAM and Android 4.0, and a 1920x1080 display underneath the gargantuan screen. The demo seems to be targeted at being used in a classroom setting, with plenty of child-friendly apps and videos, but that's just bundled software. The display, which starts at $479, could be used by any budget-conscious consumer that wants to try using Android instead of Windows as their primary OS for a shared family device. 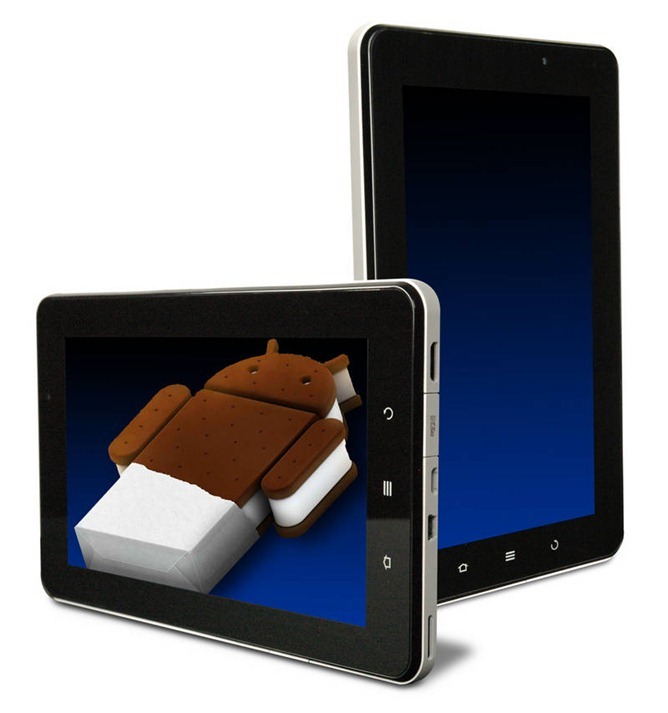 ViewSonic, a leader in making affordable gadgets, have intro'd yet another entry level tablet: the ViewPad E70. 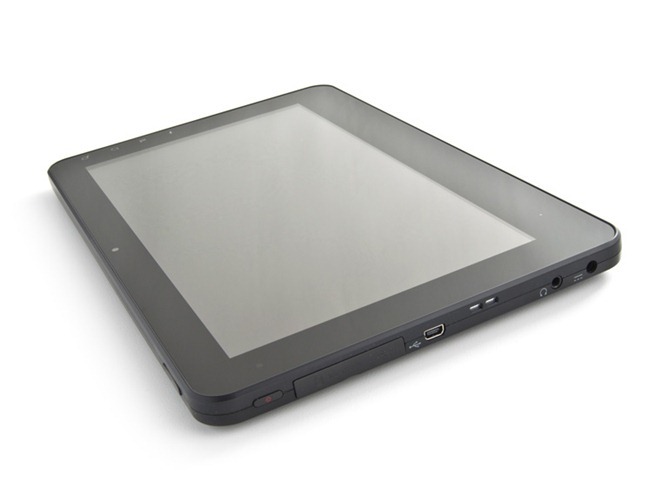 Under its hood, the 7-inch E70 screams budget in ever single way, as it houses a 1GHz processor, 4 geebees of storage, a microSD card slot, and an HDMI output capable of streaming 1080p video. 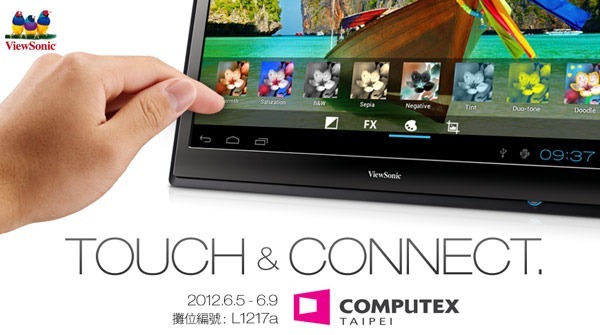 Let's just ignore the fact that the bezel is practically an inch thick and look a little closer -- do you see the issue? 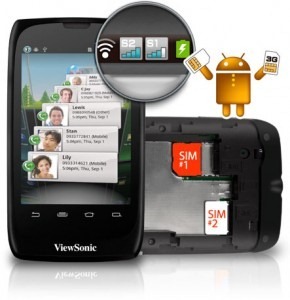 In spite of all the exciting pre-CES announcements we’ve been seeing over the last few days, one company has been preparing a somewhat less-than-enticing device – specifically, ViewSonic with a new low-end handset that’s been dubbed simply the ViewPhone 3. Described by ViewSonic product manager Mike Holstein as a phone for the “value seeker,” the ViewPhone 3’s perhaps single defining feature is its price tag: $250 – off-contract. 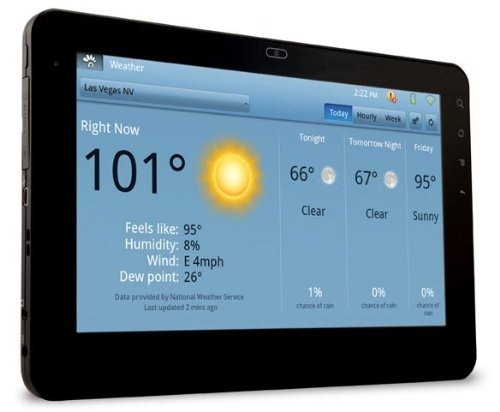 If you've been looking for a 7 inch tablet without the bells and whistles of the HTC Flyer or the newly announced ASUS Eee Pad MeMO 3D, then it looks like ViewSonic may have your number, as it has just announced its newest Honeycomb tablet: the 7-inch ViewPad 7x. 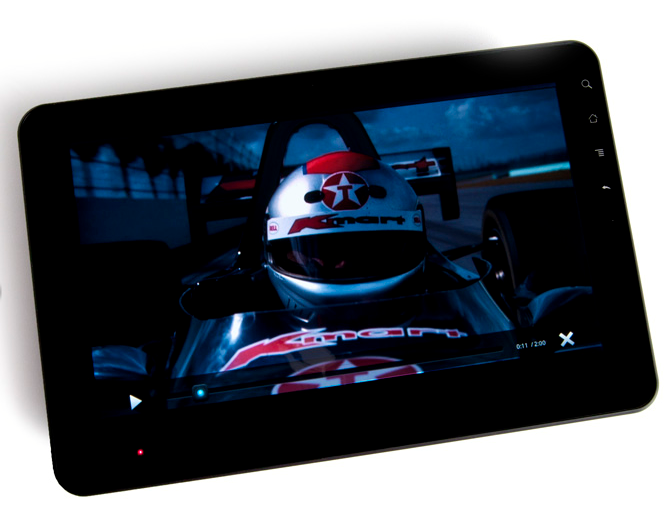 The ViewPad 7x is pretty cut-and-dry as far as Android tablets are concerned - just in a smaller package. 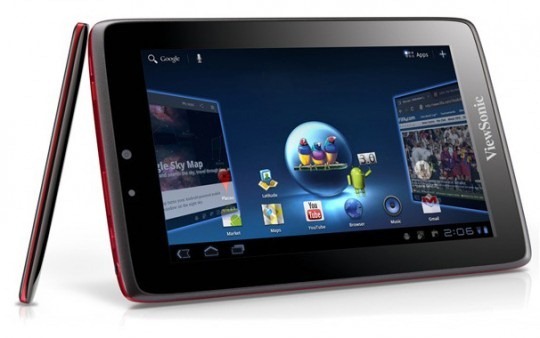 It's packing a 1GHz Tegra 2 processor under its hood, along with a 7 inch, 1024x600 display, HDMI out, microUSB, and support for HSPA+. If the 7x isn't your thing, however, ViewSonic has also announced a second tablet - the 10 inch, Intel Oak Trail sporting 10Pro.